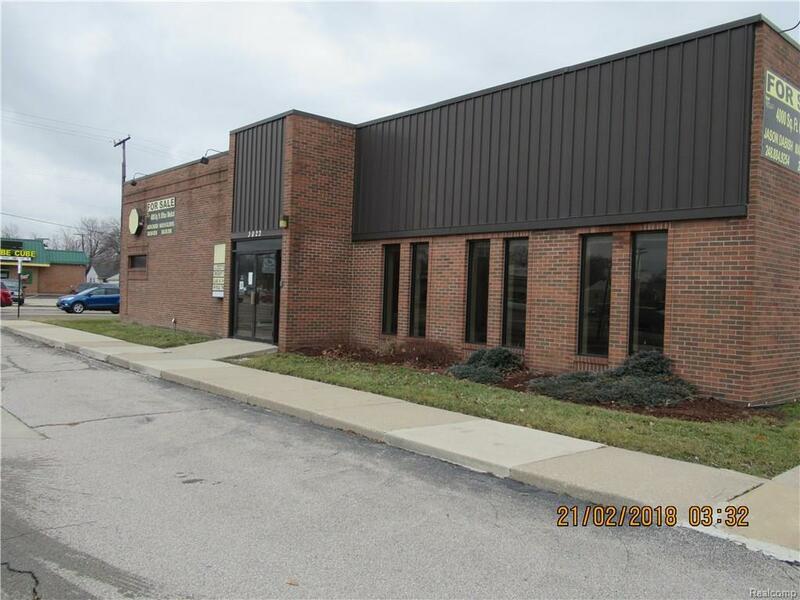 This solid 4,070 sq ft brick building offers endless possibilities for your business; retail, medical, food service, accounting, automotive, real estate, etc. Previously used as a medical clinic with large reception area, exam rooms could become private offices. Or, design your own space with the help of main-floor 8' ceilings, plus 690 sq ft loft area that also has 8' ceiling, with room to expand for additional storage. Features include four bathrooms with plumbing for a fifth; security and sprinkler systems; large, lighted private parking lot. Located on busy main road at exit/entrance ramps to I-75. Only 10 minutes drive to downtown Detroit or airport! Contact listing agent for list of medical equipment available, if desired. If not, all will be removed by closing. Being sold "as is". Land contract terms negotiable. Also available for lease (MLS #218013342). Licensed agent must be present for all showings. All information approximate, must be verified by buyer agent.